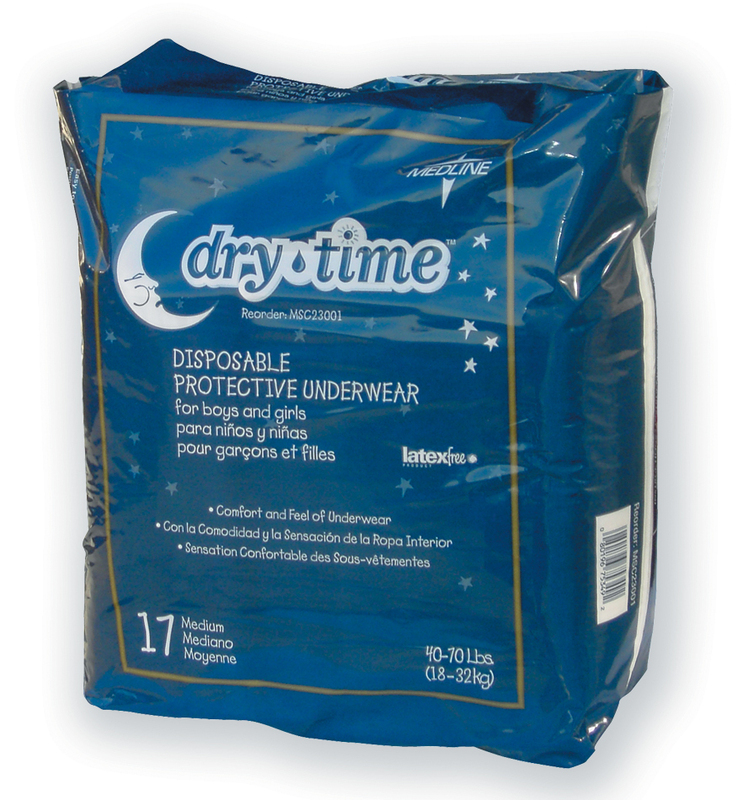 Drytime Underwear utilize a moisture-proof barrier to trap fluids and keep users dry. Waist and hip elastic provide feeling of real underwear. Discreet white cover looks and feels like real underwear. It is a Unisex design.